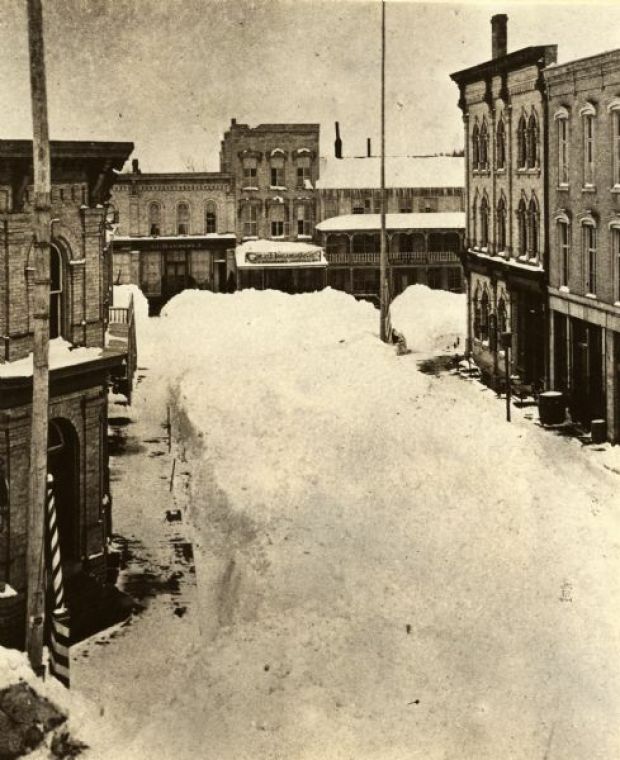 In honour of the snow that has sporadically deposited itself about the country this week, I decided to search for historical Snows in the birth records. There were lots of Snowden/Snowdon’s, over seventy Snowdrops, and around four Snowflakes. I did a quick search for them and found that Snowflake Celia Rivett didn’t seem to appear in any censuses. As I like a challenge, I checked her marriage certificate for her father’s name, given as George Nelson Rivett – Occupation Wheelwright, and searched for him – nothing. So I looked again and found 3 siblings as witnesses – Great – I thought – I’ll definitely find them all now even with the possible miss-transcriptions…. Nope. So, I just searched for Snowflake as a first name and nothing else, and a Snowflake Roberts living in Erith, Kent, in 1891 came up. I clicked onto the census, and found Snowflake, with a father George (and mother Clara), all the sibling’s names matched… except of course their last name wasn’t Rivett! I found them all as Roberts again in the 1901 census here. When I looked for the youngest children’s births, Nellie and John, and could not find them as Roberts, so tried Rivett and found Nellie as Nellie Ethel Rivett. I searched for Nellie in the 1911 census, as I now had her middle name, and she came up as Nellie Ethel Rivett, with her widowed mother Clara Rivett and older brother PETER John Rivett (I subsequently found a birth record for Peter John Rivett). I had tried in vain to find a marriage for a George Rivett to a Clara, the only one being in 1867 in Leicester. However there was a marriage for a Clara Jane Roberts to an Alfred Rivett in 1880. I could find Alfred Rivett up until his marriage in 1880, but he ‘disappeared’ after then, or as I now knew, became George Roberts. I also contacted a few people who popped up with Alfred and Clara in their trees all up until the marriage in 1880 then nothing, so hopefully I’ve broken a couple of brick walls! So, some time in between Snowflake’s older brother William’s birth in 1884 and her sister Eva’s birth in 1887 (yes – Snowflake is yet again someone with an unusual name whose siblings all have much more common ones) something happened that caused her parents to move and assume her Mother’s maiden name. My first thought was bigamy, especially as Clara is half his age and pregnant when they marry, suggesting some hasty decisions, but I could not find another marriage (in his real name anyway) or any newspaper reports for this. His name didn’t come up connected to any other crimes either, although of course it could be escaping being caught that caused them to move in the first place. Perhaps it was just an early case of a man taking his wife’s name…. but as Clara reverts to Rivett once he has died I’m guessing that probably isn’t the case. This is one that’s going to bug me for a long long while, and I know I will revisit it until I find out the answer! So, back to Snowflake. The most likely scenario is that she was named for, or because of, the ‘Great Blizzard of 1881’ – anyone else reminded of this Vicar of Dibley clip? (30 seconds in) – but anyway, I digress. After a very mild December, in the second half of January huge swathes of snow settled over England, particularly the South. I mean, that’s a LOT of snow. Perhaps Snowflake was born as the first flurry settled, or perhaps Clara’s labour pains happen to start just after sticking out her tongue to catch a snowflake… perhaps it was just the whim of a young Mother naming her first daughter. Snowflake gets married on Boxing Day 1907, to Ernest Henry Essex, a shop assistant. In 1911 she gives her name as Celia, suggesting she didn’t go by Snowflake, and she has a 6 month old baby called Joyce Olive. They are living in Woolwich in 1939, and although there is an additional ‘closed’ record on the 1939 register that could be another child, the record evidence would suggest Joyce was her only child. Snowflake passes away at the relatively young age of 69, still in Woolwich, and as I can’t find a marriage or children for Joyce, it would seem there was no one inclined or indeed able to pass on the name. A fascinating post, as always. Thanks.